The movie is yet to have a release date. 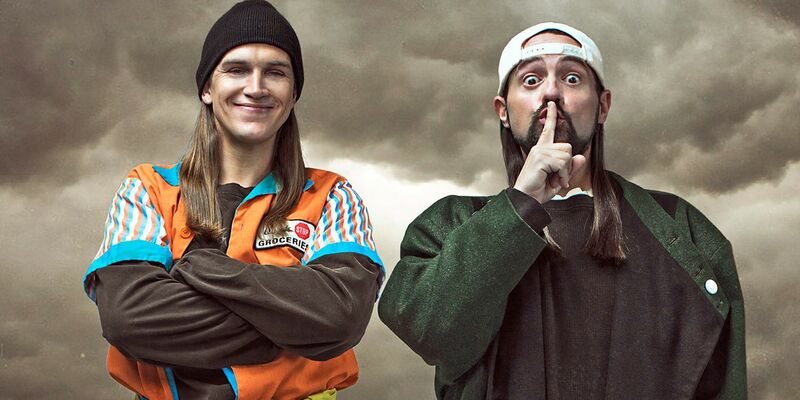 The film will see the return of Jason Mewes and Kevin Smith as the title characters. It will be the first full-length feature film by Kevin Smith since 2016's Yoga Hosers, and comes a year after he survived a massive heart attack. Last edited by Yoda; 3 days ago at 12:20 PM. Aw, and I was really looking forward to Moose Jaws. But seriously, I find it hard to get worked up for this. Smith largely seems like a filmmaker I've outgrown and Jay and Silent Bob Strike Back didn't exactly hold up when I rewatched it a while back so I'm definitely worried that this will be the latest in a long line of belated comedy sequels that struggle to capture any of their predecessors' magic. I'll still end up seeing it anyway, though.